Today's 31 Day Challenge theme is Metallic Nails. While I could have chosen a metallic finish polish, I decided to use two polishes I own that actually are made up of metals or metallic particles. I started with a base of Nails Inc. Whitehall, a teal magnetic polish. Magnetic polishes are made up of metallic particles in a polish base, and when a magnet (usually comes with the polish) is put over the wet manicure, it pulls the particles into a pattern. Then, I added a coat of my gLORIous 22k Gold Leaf Topcoat. I was a bit impatient on this step, so I ended up making some minor smears on the magnetic polish below. Oops! Still looks cool though. :) Anyway, this is real gold, so it definitely qualifies as metallic. I love the way this turned out. I was a bit doubtful that this idea would look good at first but I am really quite pleased. 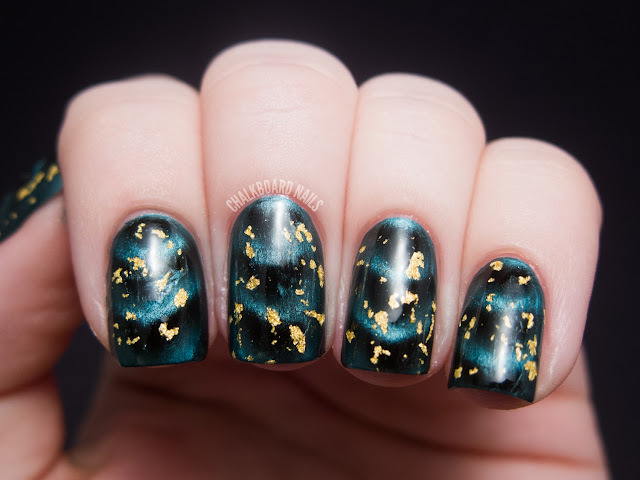 Teal and gold always look great together, and the darker black areas of the magnetic polish make for some great contrast. I bought the Nails Inc magnetic on sale on Sephora. Purchasing information on the 22k gold leaf topcoat can be found here. Here's last year's metallic manicure, and you can check out upcoming prompts here. Erm.. wow ! Who'd have thought magnetic polishes could be made into actual nail art ? 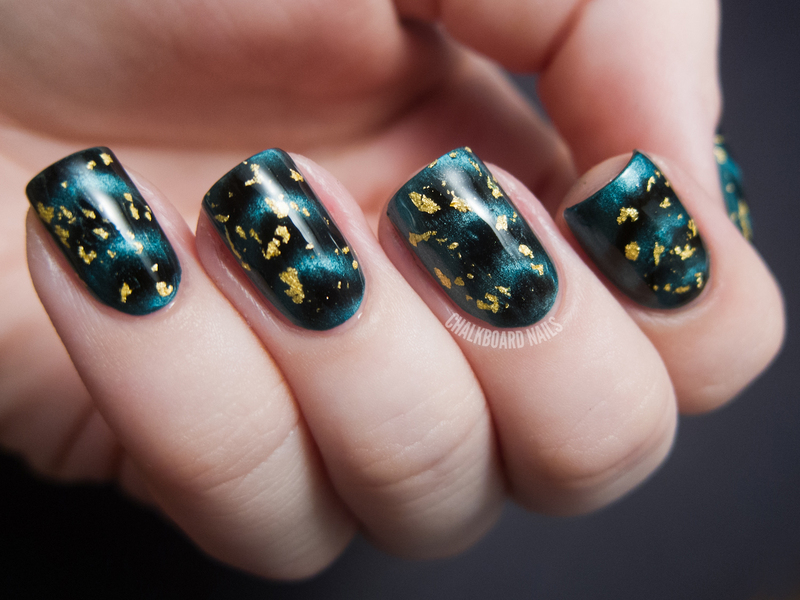 That gold leaf top coat is gorgeous too ! That is really cool! 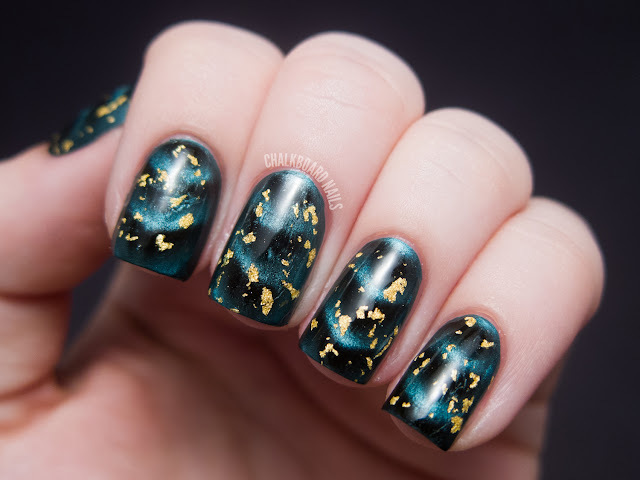 Love your take on it :D I just decided I need some gold foil topcoat in my life. 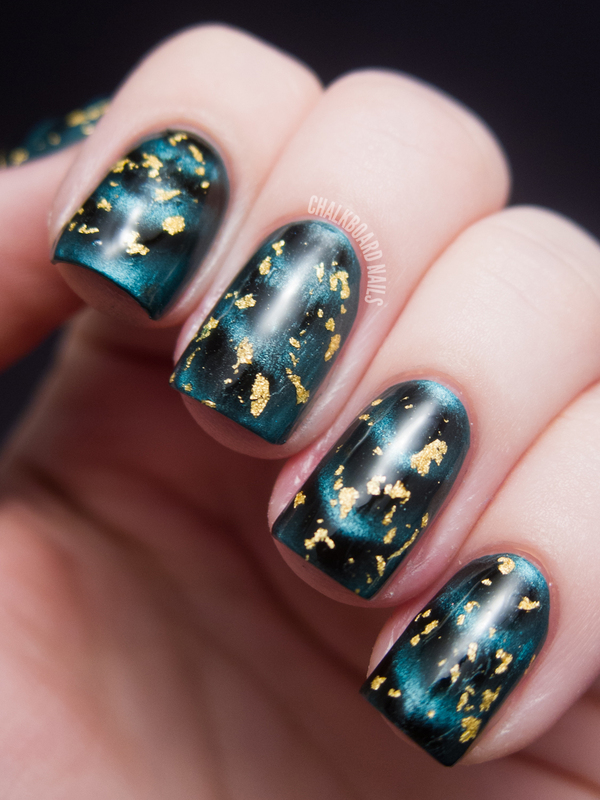 wow i love the gold with the teal! it really pops. 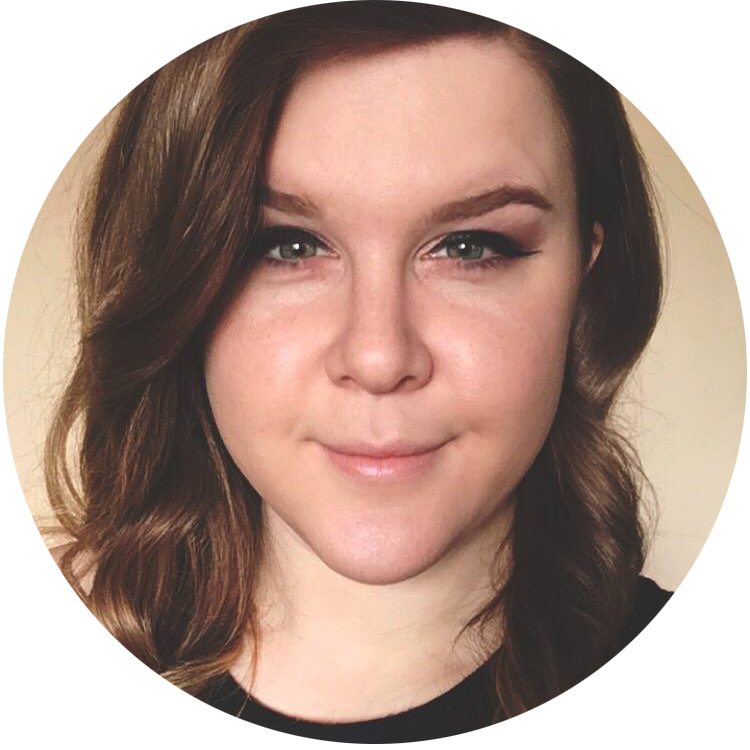 great take on the metallic challenge! Good call!!! The "metal"lics are fab! This is gorgeous, I love the metalic peeking through the black. I hadn't thought of layering a flakey glitter (or any glitter) over a magnetic- brilliant! I love how this looks. Ooooh I really like this! This looks really cool, love it! this looks amazing, absolutely love the gold on top! Really pretty and I don't even particularly like magnetic polishes. We don't have gLORIous where I live...but there is an OPI due for release in Oct this yr that is looking a ton like this - I just hope it really does look AND work like this one and not like the 24 K OPI for Sephora came out which was only like a thin gold glitter - not these nice 'leaves' of gold look. gorgeous!! this really makes it pop with that gold! Magic, magic, magic, magic, magic!